After the waiting of Advent, Christmas comes with joy and celebration! Many churches have a Midnight Service, starting in darkness and building to a crecendo of light to welcome the birth of the Christ Child - the Light of the World! GOLD is the colour which the Church uses to celebrate Christmas. The Christmas Story appears in the Gospels of Matthew (chapter 1:18-25) and Luke (chapter 2:1-20). John's Gospel opens with 'In the beginning was the Word, and the Word was with God, and the Word was God.' Mark's Gospel doesn't mention Jesus' birth at all! Although we don't know exactly when Jesus was born, 25th December has been the date for celebration since the time of the Roman Emperor Constantine in 336AD. 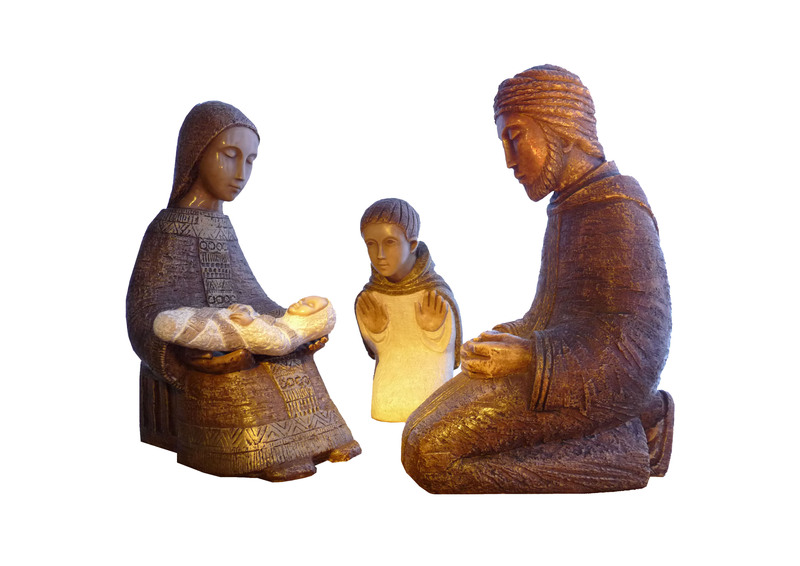 This section of the website has ideas and resources to use in worship and at home to celebrate the birth of God's Son Jesus. Re:Quest has lots of articles, games and resources for Christmas. Type Christmas into the search box.